All businesses are interested in saving money wherever possible and often this will include their annual IT expenditure. 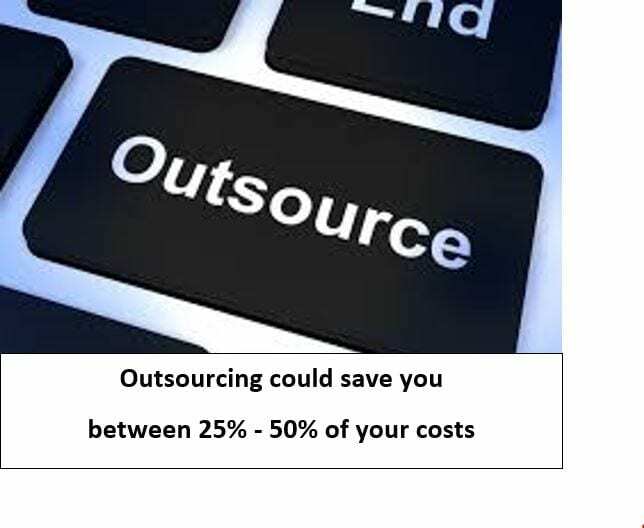 Outsourcing their IT support could for instance save anywhere between 25% – 50%. at the same time they would try to fix computers that had failed. Perhaps you do too. Whilst an in-house IT person can bring benefits because they are close to your business recommending IT equipment, setting up networks and handling security, it does have its downside too. Because of the extraordinary speed at which technology develops today, this means that the dedicated IT person may not have enough expertise in all the aspects of technology which your business is using. There is of course also the practical consideration of what happens when the IT person is on holiday or off sick? If they are off sunning themselves when a problem arises it could hit your business operations and effectiveness, something that businesses can ill afford these days. Opportunity to centralize and consolidate your Company’s main functions, thus increasing your Company’s efficiency and productivity. 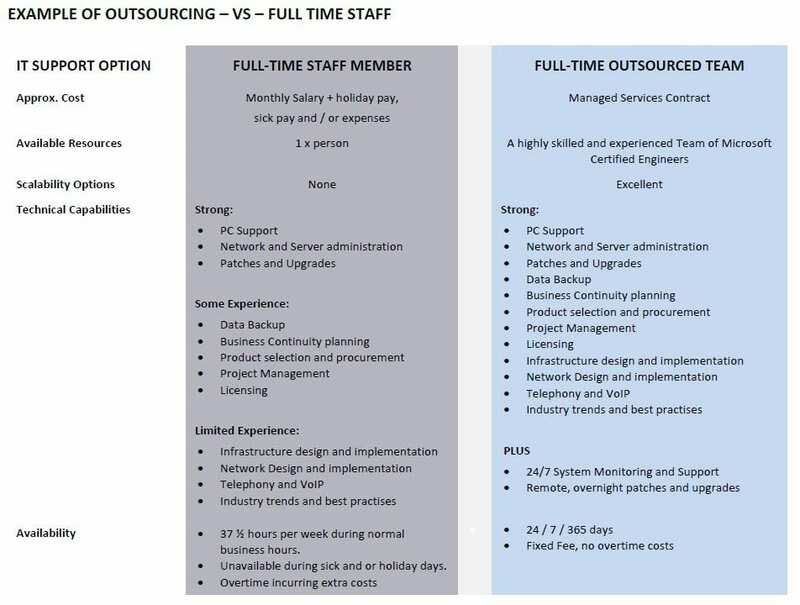 As you can see outsourced services can cost less than having an in-house IT staff member along with the technical expertise and availability. Information Technology is not something the lay person can master without formal education and training.